This pattern is an oldie-but-goodie. 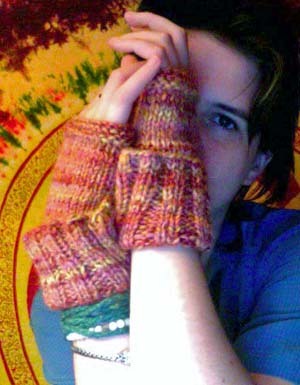 I've made a few pairs of these mitts as gifts, and I still wear my original pair each winter. My mitts have been pulled from their summertime hiding place and are back in use (pretty much) daily! In case these mitts are new to you, let me explain what makes them so awesome. They can be knit using a single skein of handspun yarn. The yarn is wound into a center pull ball so both ends of the yarn can be used at the same time. Each end is used for one mitt and they're both knit at the same time on straight needles. 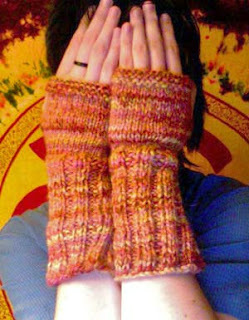 The mitts begin at the fingers and you can basically knit until you run out of yarn! 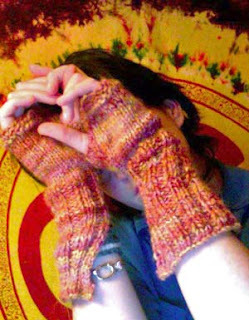 The mitts shown use about 94 yards of yarn, though I've seen people on Ravelry use more or less depending on what they have available. 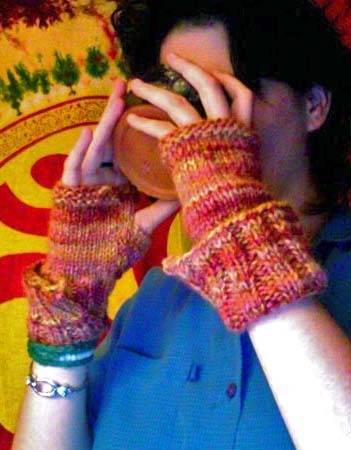 Oh, and did I mention that this pattern's free? Enjoy!